It is said that going on a safari in Africa is a life-changing experience and one that you will never forget. Seeing animals such as lions, elephants and gorillas in their natural habitat is completely different to simply visiting a zoo and looking at an animal that is there. You go to a zoo and expect to see the animals but, if you go on safari, you have to find the animals yourself; you are in their home and you are governed by their rules. With no signs telling you what animal is where, you are thrown into the complete unknown and any expectations you might have had before will just go out the window. Anything can happen on safari and it is simply a holiday like no other. The so-called ‘Starbucks Culture’ has turned many of us into people that expect to get what we want instantly but life in Africa is just about the opposite; people take their time and life there very much reflects the nature that surrounds them. There is no rushing about; no one is in a hurry and the best way of experiencing a safari is to adapt to the culture of the continent. You are going to need some patience when searching for the animals, as there will be times when you won’t see anything for a while. However, just when you are starting to give up, there might just be a beautiful giraffe or a stunning leopard waiting around the bend. No knowing what to expect and having no idea what you are going to see is just one of the many wonders of going on safari. 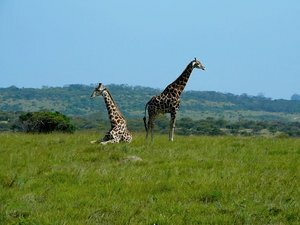 So now the most important question, where should you go on safari? Africa is full of fantastic destinations but we have come up with our top 5 African safaris which we think offer that something extra special. Stay in a self-catering accommodation and truly experience the country you are visiting. Believed to hold the largest population of lions in Africa, Serengeti National Park in Tanzania is the place to go if you want to see lion kills. The abundance of animals that are a lion’s prey makes it a regular occurrence and seeing real-life survival of the fittest through your own eyes is truly something special. The grasslands of the National Park make it easier to see the whole spectacle but if lion kills aren’t really your thing, Serengeti is also famous for its wildebeest, zebra, crocodile and various other wildlife. Renowned for its high number of elephants, a visit to Chobe National Park in Botswana is likely to result in you seeing hundreds of different kinds of elephants. Try to get along during the dry season from April to October and see the elephants congregate near the river banks. However, if you are unable to make it in that season, fear not as the wet season is when you can the see the newly born elephants as well as baby zebras and warthogs. 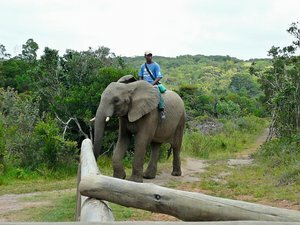 The first two safari destinations are on this list due to their high population of lions and elephants but Kruger National Park in South Africa is on here because of its sheer variety of wildlife. 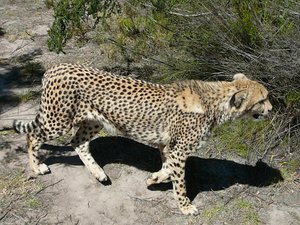 The Big Five (African lion, African elephant, Cape buffalo, African leopard, and White/Black rhinoceros) can be seen in the National Park along with cheetahs, hippos and crocodiles among others. As it is with many of the safaris in South Africa, Kruger National Park is extremely well-maintained and therefore perfect for a self-drive safari. Click here to have a look at our self-catered accommodation available in South Africa. This National Park in Zambia is home to the famous ‘walking safari’, a great way of seeing the wildlife up close. It may sound scary not to have the protection that a safari in a car would give you but you can be rest assured that you will be completely safe, as a trained guard and an armed scout will accompany you and your group the whole time. A ‘walking safari’ is truly something that you will never forget and seeing animals such as hippos and giraffe in the flesh is an amazing feeling. There are also over 400 species of bird in the South Luangwa National Park so you will never be short of things to see. A UNESCO World Heritage Site that is home to almost half the world’s population of mountain gorillas, Bwindi Impenetrable Forest in Uganda is a must-visit for those infatuated by apes. Being in a gorilla’s natural habitat will make you realise just how similar they are to humans and being in their vicinity is sure to be an emotional experience. With chimpanzees and monkeys also living in the Park, a visit to the Impenetrable Forest is one that will stay with you for a very long time.